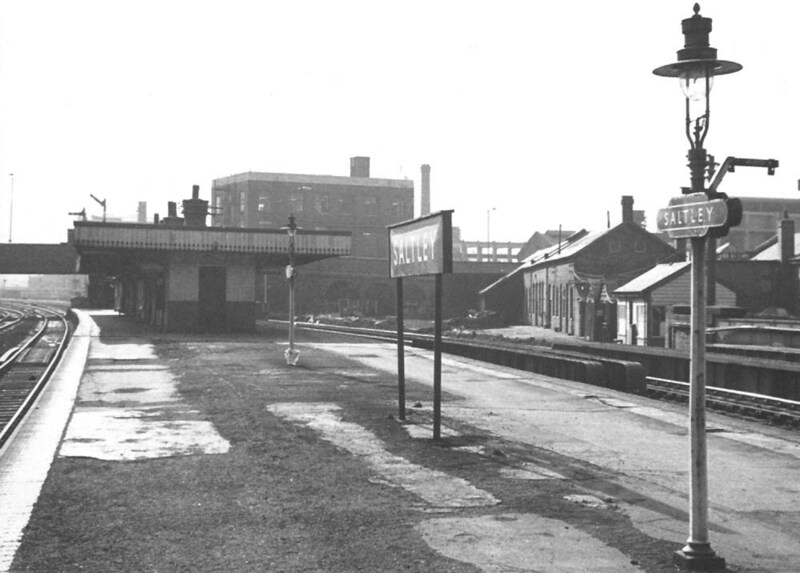 View from the Washwood end of Saltley station looking towards Birmingham in February 1968 shortly before closure. The lighting on Saltley station's platform was lit by gas lamps as were the lights within the station building. The station 'totem' sign was part of British Railway's corporate branding with the colours - maroon background and white lettering - being the Midland Division's colours. Other regions used the same design but different background colours: Western Region - brown; Eastern Region - Dark Blue; Scottish Region - Light Blue; Southern Region - Green; whilst the North Eastern region's Tangerine background required black lettering.